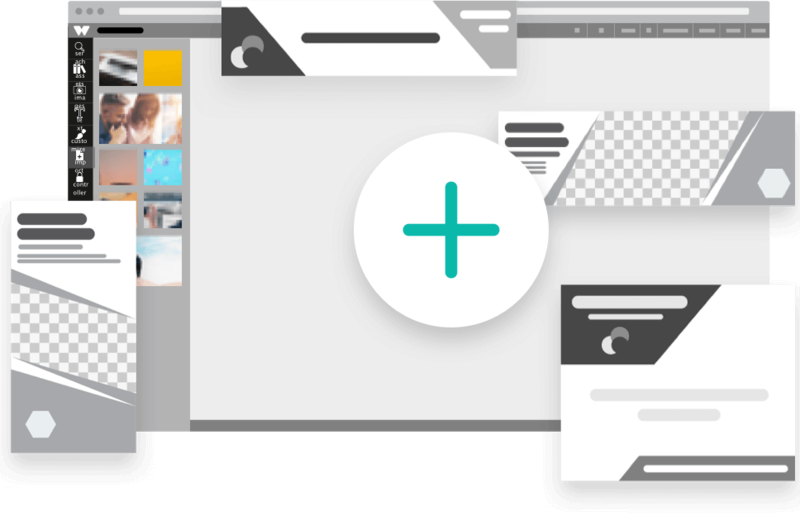 Transform your marketing materials into templates and make them editable by anyone. Templates are branded content designs that can be modified by different people without changing the original file. They are a blueprint that anyone can use to create graphics or documents for your brand more easily. It helps you to achieve uniform design, and formatting by prescribing layouts, visuals, fonts, colours, logos and content. How are branded templates created? 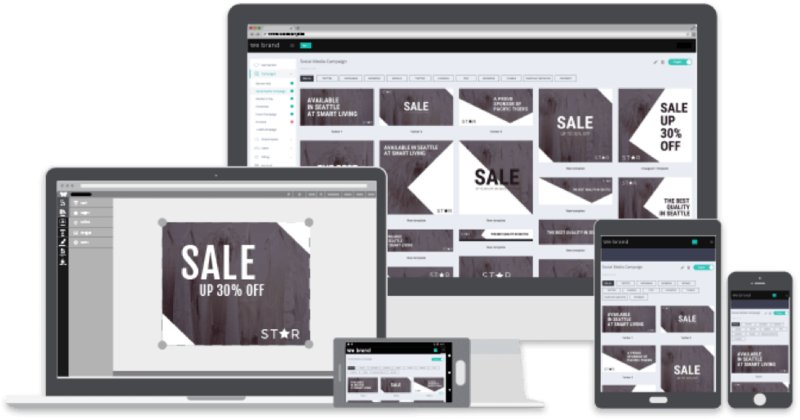 They can be generated from PDF files, copied and resized from existing company templates, or designed on We Brand’s online editor, which contains 1000’s of professionally-designed starter styles. You can then apply restrictions to control what can be modified, so that your brand guidelines are always followed. Why should I use branded templates? Creating branded templates is the easiest way to share customisable designs, whilst keeping your images on-brand and cohesive with your visual identity. When all your images have a common look, your followers and customers instantly recognise the image as yours. This helps you with engagement, brand recognition and a more loyal following. Who should I share branded templates with? What types of templates can I create? Branded templates provide the guideline for what can be published. By using restrictions, you can give editable access to your content, whilst making sure people are not using outdated company information, reducing price under the approved minimum, extending a promotion after a set date, and so on. 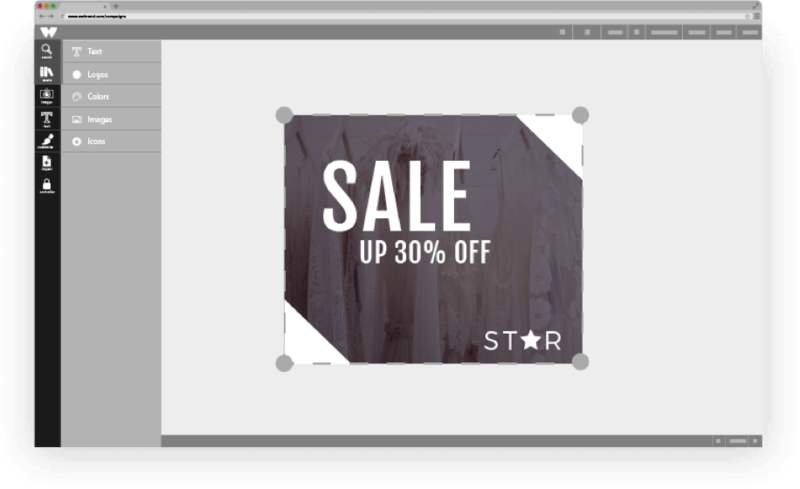 Simply transform your images into a branded template to gain full control over how they are utilised. You can ensure your images are watermarked for brand protection and that they are only used as per their license. You can also control what text can be added to an image and if images can be shared, downloaded or used on print files. Branded templates allow marketing managers, designers and business owners to focus on marketing activities as opposed to spending time producing content to suit specific needs. 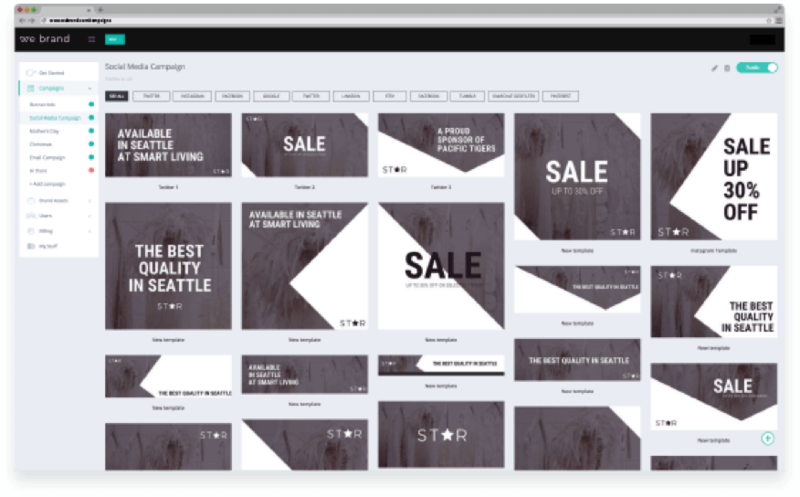 Staff members, reps, local stores, and customers can choose from a selection of pre-made layouts to build upon, and use customisable media as required. 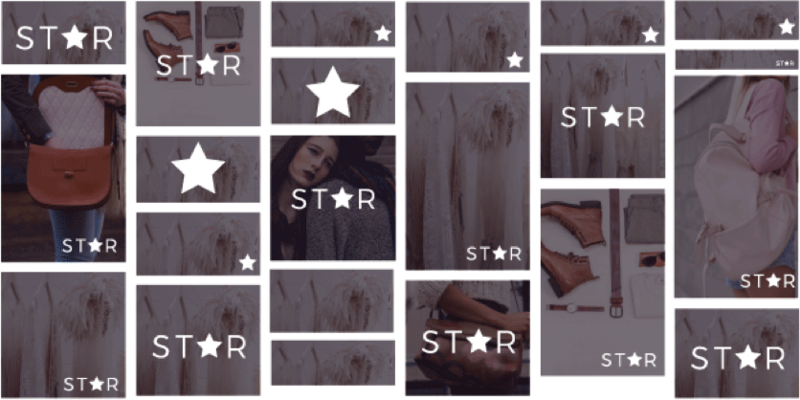 User-generated promotions can be done quickly and simply, as brands can allow staff members, customers and influencers to put their own voice on their campaigns using branded templates. Let others change text and replace images in a controlled way, and share your content with their audience.